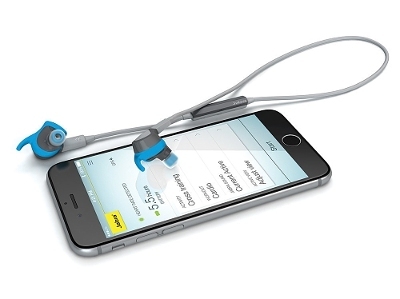 Jabra, one of the industry’s leading audio manufacturers, announced the release of the Jabra Sport Coach, the first wireless headphones aimed specifically at users who want music and online coaching for cross training. At first glance, the Sport Coach looks like an ordinary pair of wireless headphones, the same as many other Bluetooth-connected models that have flooded the market in recent years. But in reality, these headphones can offer so much more to those who are serious about their fitness. The Sport Coach headphones come integrated with a sophisticated motion sensor, which works in conjunction with a smartphone app to give users an enhanced workout experience. The other half of the Sport Coach headphones is the Sports Life app, the download of which comes free with the purchase of the headphones. Users can use this app to program customized workouts, with currently around 40 exercises to choose from. The app then uses information from the motion sensor to provide customized coaching tips and encouragement. It also tracks statistics like calories, distance travelled, and step count, to provide users with detailed information about their workouts. Jabra CEO Rene Svendsen-Tune sees this cross training-specific technology as a logical next step after previously releasing the Jabra Sport Pulse (which monitored the wearer’s heartbeat), saying “We started by specifically targeting runners, and now we are taking the next step by delivering a solution optimized for cross trainers.” Making exercising more enjoyable and convenient has always been a goal of Jabra’s, he added, saying, “we are committed to delivering innovative audio solutions designed to enhance the training experience for fitness enthusiasts." The Sport Coach represents another potential application for the use of wearable technology in everyday life. While this particular model is targeted toward cross and interval training, it does present the potential for future applications in fitness. If you are interested in other innovative wearable technologies, make sure to check out the Wearable Tech Expo at the Jacob Javits Center from July 13-15.